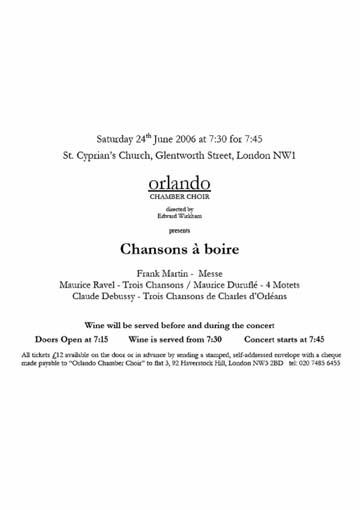 An a cappella evening featuring the double choir mass by Frank Martin and partsongs by Ravel, Duruflé and Debussy. The concert will take place in the beautiful setting of St Cyprian's church, the stunning early 20th century interior of which will provided a remarkable backdrop for the music this period. Wine will be served before and during the concert.